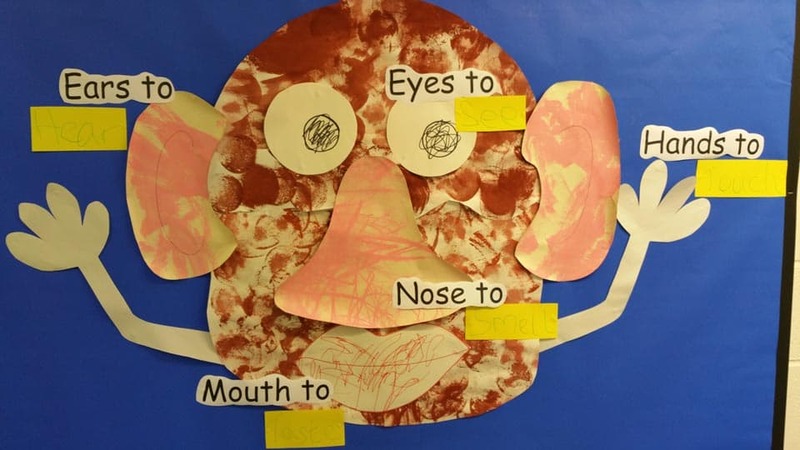 The topic in nursery this month is ‘Our Bodies’. 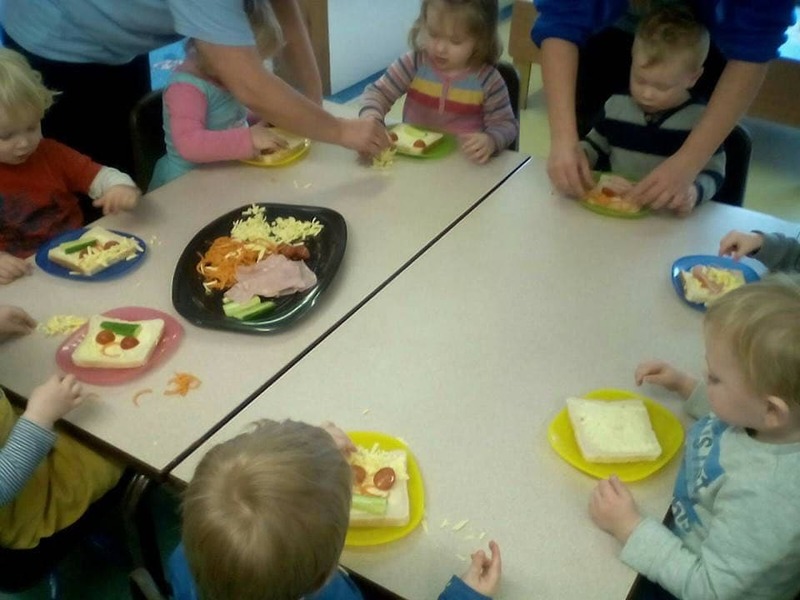 This topic encourages the children’s personal and social development by looking at how they are different and yet still the same as their friends, taking about eye and hair colour, if they are taller or shorter, younger or older than their friends. 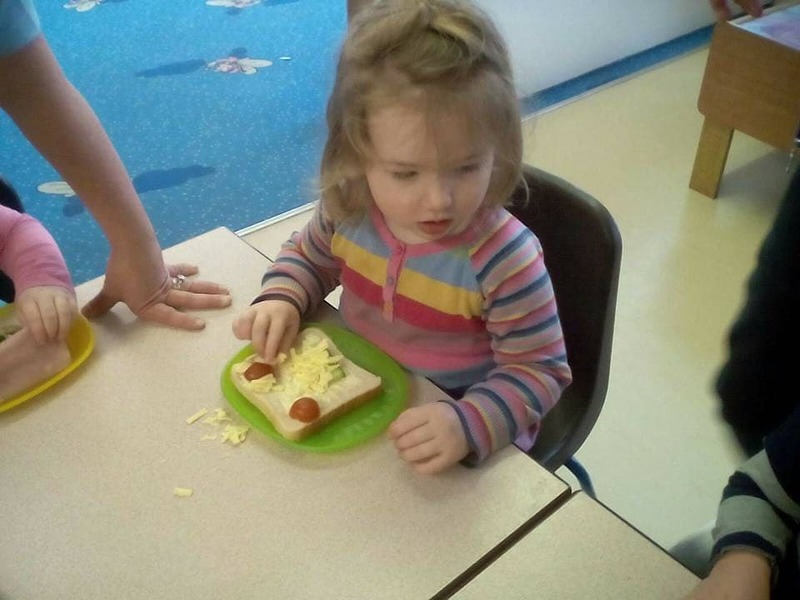 Taking part in the games and activities encourages the children to share and take turns as well developing their communication skills as they talk and chat to each other about what they are making. 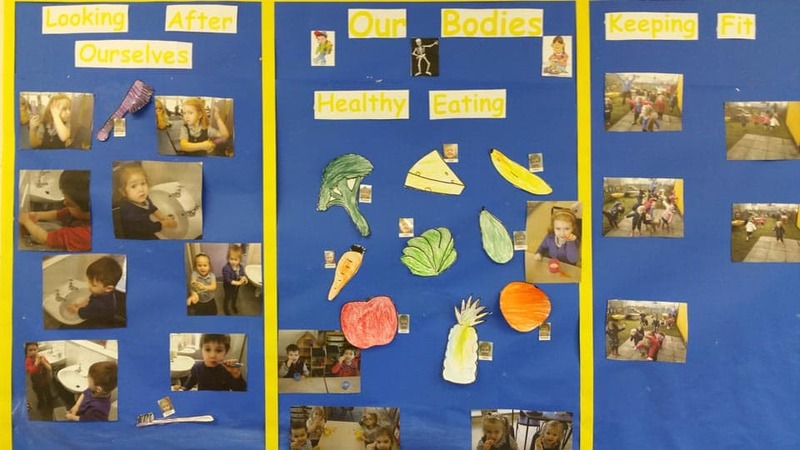 We have been looking at how to keep our bodies fit and healthy through exercise, brushing our teeth, washing and a healthy balanced diet and the preschool children have enjoyed tasting different fruits and vegetables at snack time and playing outside doing exercises and keeping fit. 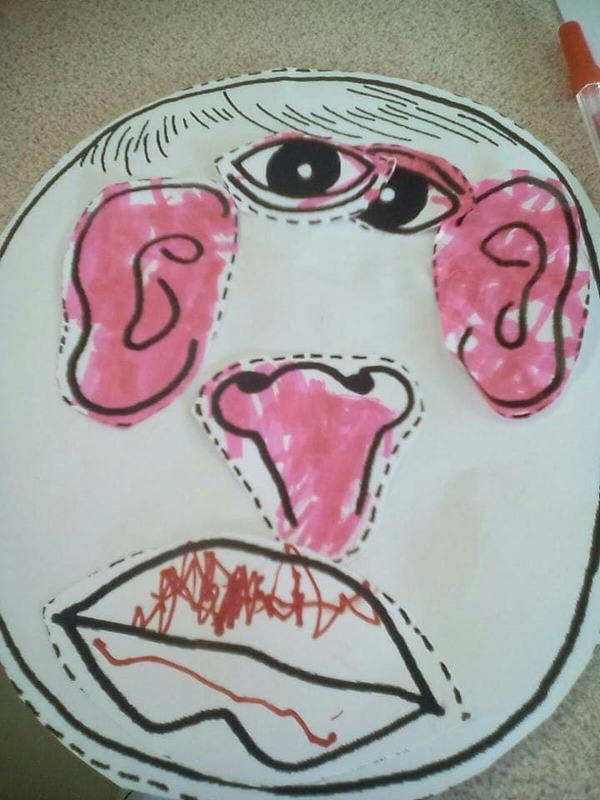 The younger children in the Toddler and Baby room have been discussing the features on their faces and what senses these are used for. 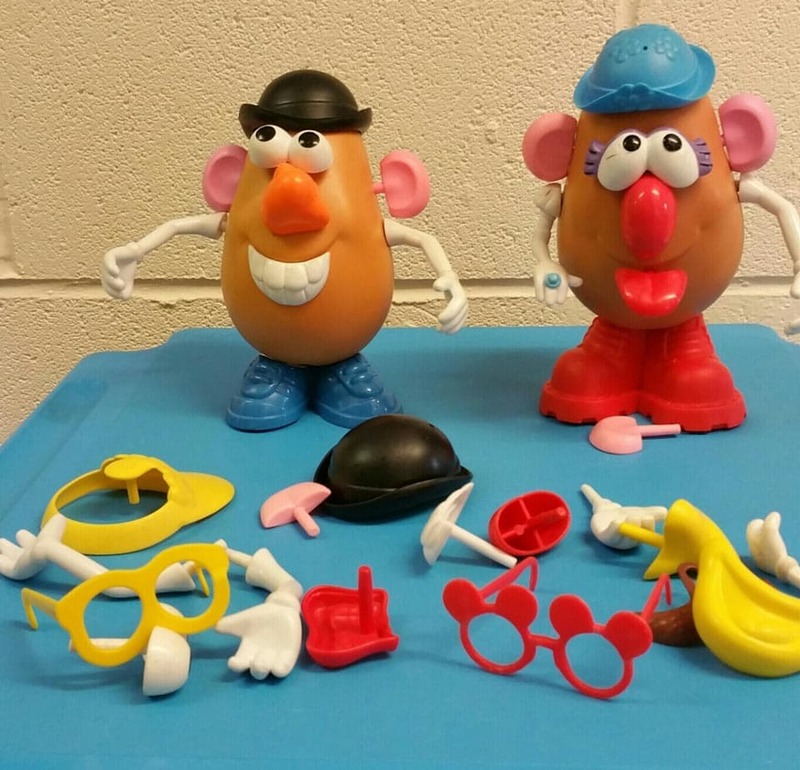 The babies have made a fab display for our wall showing the features of Mr Potato Head and the Toddlers used Playdoh to explore the faces they could create, they also made faces out of their tea using the ingredients for sandwiches to represent different facial features. We have had so much fun already with this topic I cant wait to see what else we can get up to.